We understand that some businesses don’t want to rely on public cloud services. 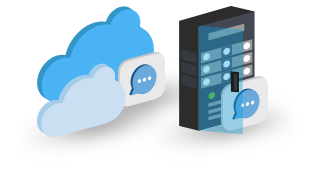 That’s why we offer an on-premise edition of WhosOn, giving you an installable live chat solution that doesn’t compromise on price or features. Our installable live chat option is usually chosen by verticals who need higher levels of security. Many of these industries must abide by strict regulations, especially where sensitive data is concerned. WhosOn’s installable functionality brings peace of mind. If you want to get your solution, self-contained on your server, with data stored in your own database – this edition is for you. WhosOn’s functionality is identical between the cloud and self-hosted editions. There’s no catch, no preferential treatment for any one edition, and absolutely no loss of features. Because the installation works on a straightforward subscription basis, you never miss out on updates. Instead, you get the full solution without reliance on third parties, without hidden costs. By choosing installable live chat software, you run no risk of flouting regulations. Rather than depending on an external provider, you’re taking care of your own security. Hosting your solution in-house means that you can see exactly where your data resides, and can access it with ease. And of course, managing latency is much easier when you control the network end-to-end. With our on-premise WhosOn edition, you retain all the same features that you’d have in the cloud edition. Outside of features, though, there are some core differences that come with choosing installable live chat. Fortunately, these differences will be appreciated by any security-concerned business. Let’s look at them in more detail. When visitors launch a chat window from your website, they see a URL in the browser title bar. With a hosted service, the URL automatically shows the live chat provider. In other words, you don’t have control of your chat domain name, and you inadvertently advertise another brand in your URL. URL customisation isn’t a problem with an on-premise solution. 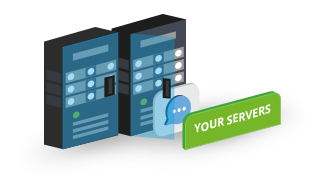 By hosting WhosOn on your own server, you can create your own branded chat URL – ‘livechat.yourcompanyname.com', for example. 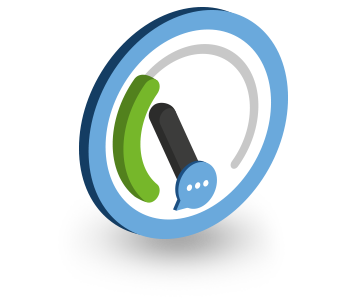 In doing so, you create a more streamlined chat experience, with increased user confidence. 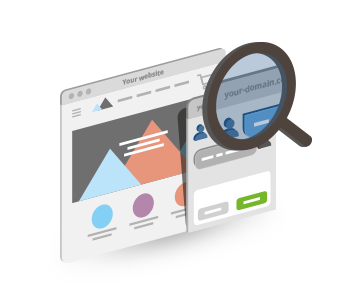 An SSL certificate authenticates the identity of a website. Containing key organisational details, it serves as an “e-passport" that establishes a company’s credentials when doing business online. 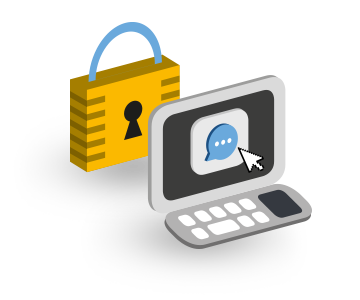 With an installable live chat solution, you’ll get your own SSL certificate. This means that the certificate registered to your chat URL will show your own company details - not those of the live chat provider. Not only does this boost trust for any visitors who view your certificate, it’s also powerful reassurance for customers using live chat on your secure web pages. When hosting WhosOn yourself, you have full customisation control. 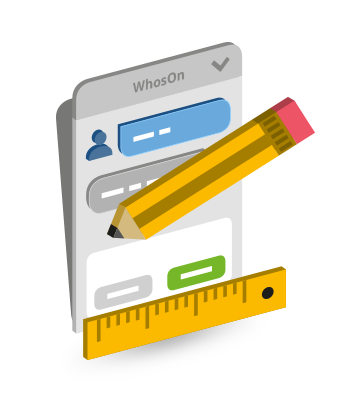 So, the chat window themes, style sheets and data graphics that come with WhosOn can take any appearance you prefer. Your data is immediately accessible with our installable WhosOn edition. Rather than using a public cloud service, you’re storing data in your own secure MS SQL database. You’ve got full access, and full rights. All that data on chat sessions, usage and web analytics is self-contained. It can be extracted at any time, used to create custom reports, linked to your systems, or hooked to existing corporate database servers. And of course, you set the security policies and access permissions. 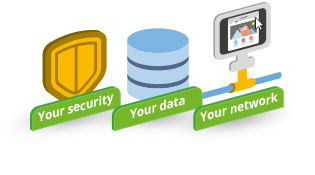 It’s simple: you’re the data owner, and you can do things that wouldn’t be possible with a hosted service. Using cloud resources means using more bandwidth. Due to these bandwidth constraints, access to your public cloud provider can be problematic – particularly if you’re operating an international company with multiple remote sites. By installing WhosOn, you avoid these issues. Accessibility using private WAN connections to private data centres can be more reliable and consistent compared to using public cloud offerings and relying on the internet as your primary access method. 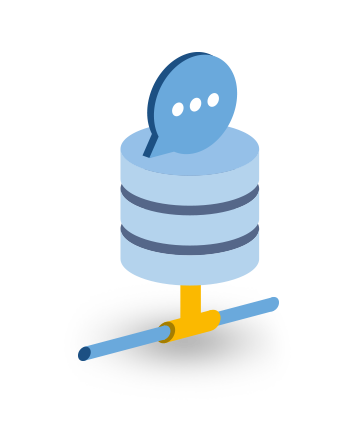 When your chat servers are self-hosted, your only limits are your internal network's infrastructure.